This sponsored post is brought to you by my love for the beach and my children, my sanity while wanting to enjoy them both simultaneously and my partnership with Luvs and Socialstars. Heading out to the beach for a family vacation with your kids in tow sounds dreamy, doesn't it? You picture each other frolicking across white sandy beaches, a cold cocktail in one hand and maybe, if you're the type, a brand new book in the other. You're excited to make memories, to be present in every moment and really enjoy this time away from home. After all, isn't that one of the reasons you booked this trip? To make priceless memories with your family? 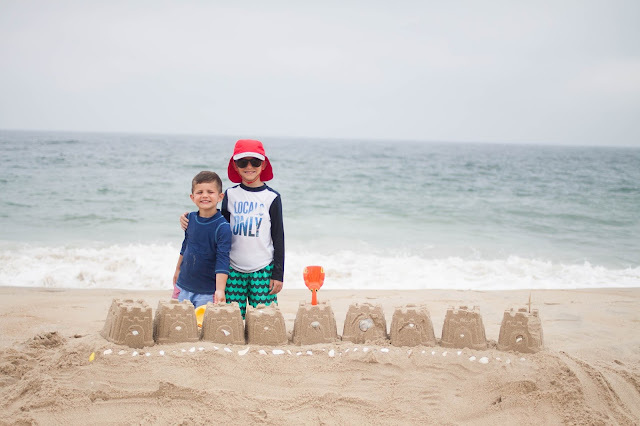 The reality of a true beach trip with kids, however, involves much more feelings of stress and anxiety than you anticipate. Not only is there the daily challenge of applying sunscreen to their wet, sandy, squirmy bodies every seventy-five minutes but also the packing of several beach bags in anticipation of the outing. 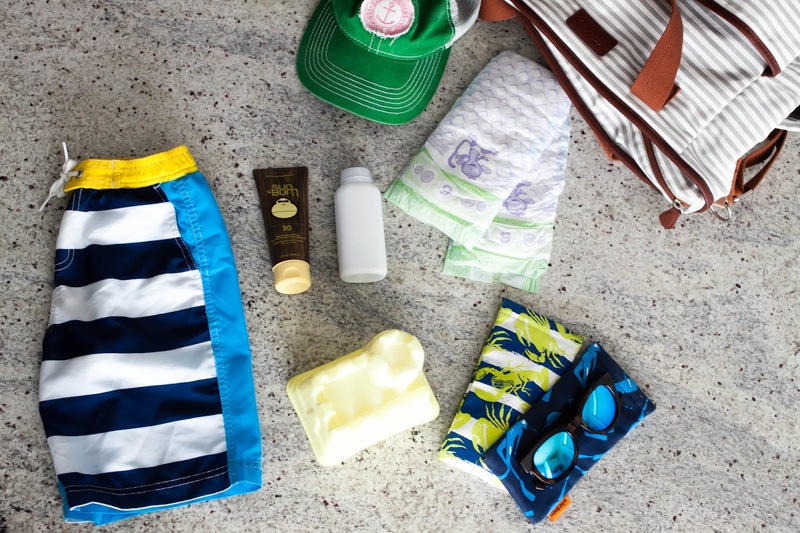 Don't forget all of the gear that a trip to the beach with kids necessitates, either. Everything from extra towels, chairs and plenty of toys to the beach tent, umbrella and a cooler of refreshing beverages must also come along for the ride. After all, with every darling little body you've added to your brood, the responsibilities grow exponentially and it's difficult to remove yourself from wanting everything to be perfect to just enjoying them in all of the chaotic glory that is raising tiny humans. Let's go back to your idyllic vision of your family frolicking on the beach. After you've enjoyed a relaxing three hours on the beach, because let's face it, 8 hours of mental and physical preparation yields no more time to "relax" than that, it's time to set up and take down all of the above with sand flying everywhere. Not exactly the picture perfect family vacation you've been dreaming about, am I right? Forget those perfect moments. Forget family beach pictures with everyone looking and smiling. Forget abandoning home and your usual routine with the hope that everything (and everyone) will perform 100% because it won't happen. And if it does? Be pleasantly surprised. In the mean time, take those less-than-perfect family beach pictures. More importantly, be in them. 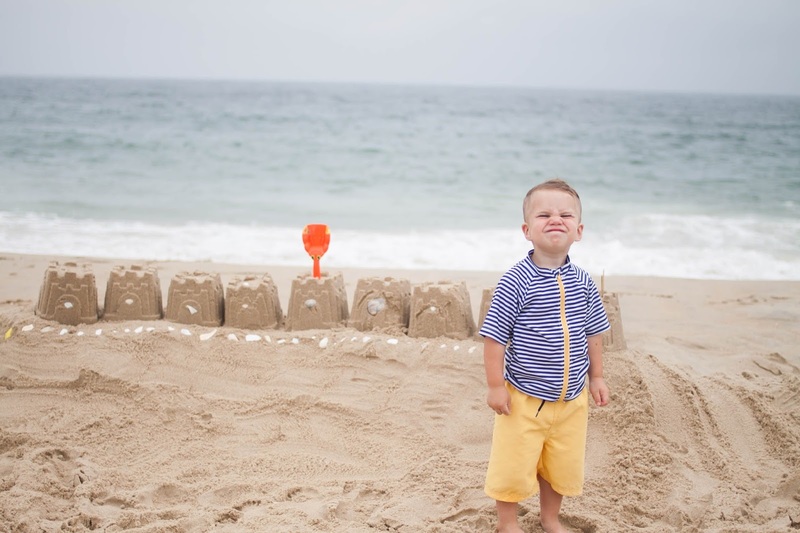 Throw on your swimsuit and enjoy your kids as they romp and roll around in the sand. Before you know it, they'll be too cool to build sand castles and dig for sand crabs with you and when that time comes, it will break your heart and while you've got all the time in the world to sit back and read your new book by then, you'll long for the days when their sandy hands would reach for yours, begging to jump waves as they crash on the shore. While you're in the thick of raising little ones and simultaneously longing for serene family vacations at the beach, here are some of my favorite beach hacks for making that trip to the beach with your family easier and more enjoyable. After all, that's what matters most. Being able to sit back, relax and enjoy the time away with your kids but without feeling rushed, stressed or overwhelmed. I would know, after all, we just so happened to return from a week long stay at the beach with our kids this morning and while I don't feel relaxed in the slightest, my memory tank is full. Tired of rushing down to the water's edge every time someone needs clean hands for a snack? Or worse, to dry off and de-sand before hopping into the car? Pack the baby powder, sprinkle it wherever there's sand and rub it in. Like magic, the powder absorbs any and all water making the skin dry so the sand doesn't stick. Don't be stingy, either! Just be careful to avoid having your kids inhale it- that's never any fun. This, by far, is the greatest beach hack I've ever learned and it's been a lifesaver when de-sand-ifying the kids. 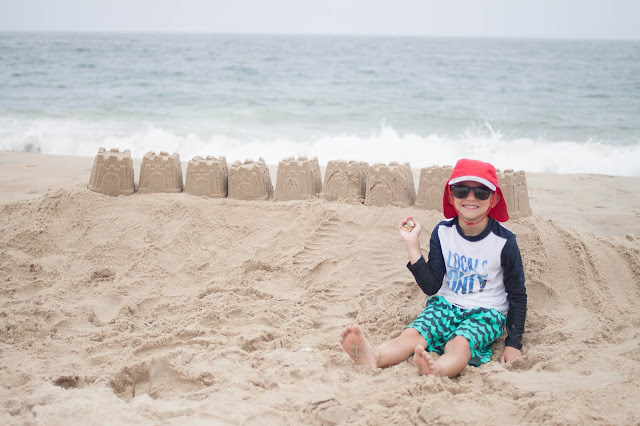 Want to spend some time playing in the sand and surf with your kids but hesitant to leave behind your designer sunglasses, jewelry or other valuables? Go ahead and wrap them in a diaper, the same way you'd wrap a diaper up when it's been used. Trust me, no one will dare take that diaper and make a run for it, leaving your valuables safe and secure. Just don't forget what you've done and mistakenly throw the diaper away when leaving the beach! (Which is totally something I would do, for the record). While we recommend LUVS diapers for their superior quality at a great value, any disposable diaper will do. Second to the baby powder hack, this is my most favorite. Why it took me several years into raising tiny humans to realize how much easier it is to apply sunscreen to minimal amounts of skin, I'll never know. 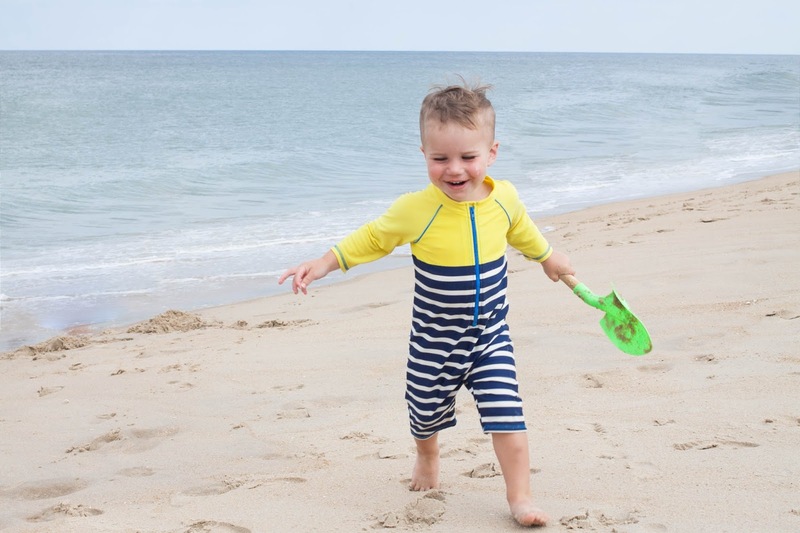 Rather than send your kids off shirtless to play in the sun, dress them in hats and one-piece sun suits or long sleeve rash guards and board shorts. Be sure to choose pieces that are lightweight, breathable and bonus points if they protect against those harmful UVA and UVB sun rays. We've been vacationing at the beach with our three boys since our oldest was just three months old. Six years later and I've managed to become an expert packer, so much so that I'm even able to take them all onto the beach myself and enjoy a few hours with them, sanity intact. Sure, it isn't the most restful of beach trips and I can't remember the last time I was truly able to sit back, close my eyes and relax but the silver lining is that I get to be an integral part of the memory-making while the memories are being made rather than a sideline observer. Even it does mean sand in places I didn't know existed. Don't forget, there's a hack for that! And if there's any last bit of advice I have for you, it's to lower your expectations. Book that beach vacation, sit back (or not) and just embrace and enjoy the crazy. 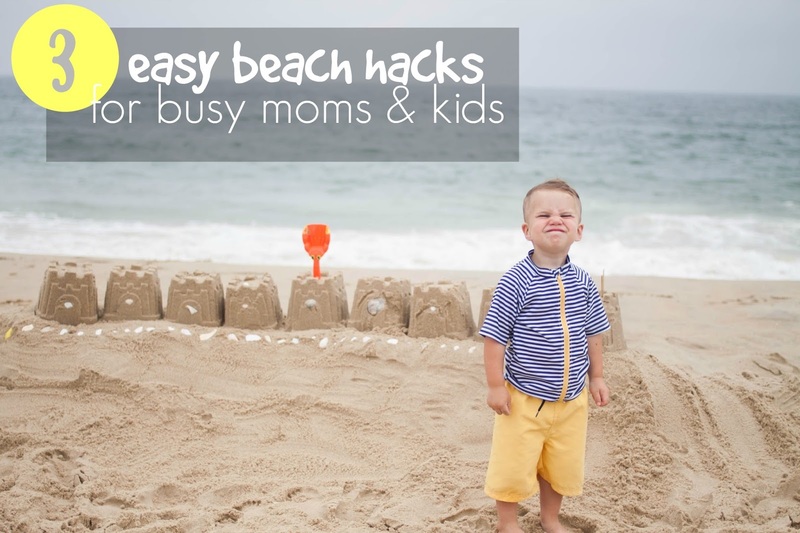 Love your beach hacks! Before we went to the beach this year I went out and bought swim clothes that protect from the sun for our 3 month old. BEST THINGS EVER!